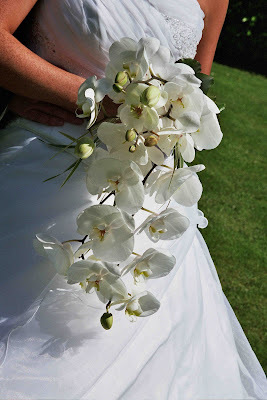 We are incredibly lucky at Mood Flowers that all our brides have exquisite taste! One of last weekend's weddings featured beautiful table arrangements of cerise pink phalaenopsis orchids which looked stunning at Glenskirlie. We've used this stunning flower over the years to create luxurious bridal bouquets, exquisite ceremony flowers and beautiful table arrangements.